Make melty ham and swiss paninis, savory chicken cordon bleu, and hearty reuben sandwiches, with this Old Country Cheese 5 lb. swiss cheese block. 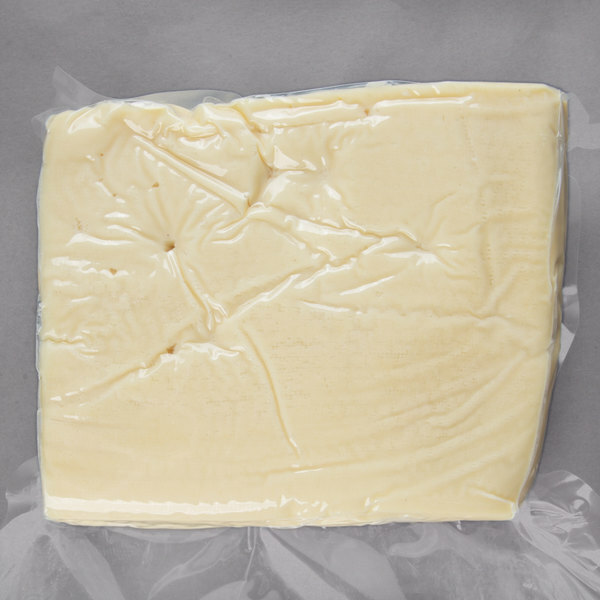 This swiss cheese is a traditional semi-hard swiss cheese, mild, with a slightly sweet nutty flavor. It's made with natural ingredients to bring out the best flavors in your food, so you can feel confident you are serving the best to your customers. With this swiss cheese, you'll be able to make a flavorful, fluffy quiche with a hint of swiss, cheesy swiss and cheddar grilled cheese sandwiches, and piping hot swiss cheese and bacon dip. Simply slice to the desired thickness, and incorporate into any recipe. This swiss cheese is perfect for making decadent swiss cheese fondue or for cubing and serving on a classic charcuterie board. Use it to top your signature french onion soup, or melt it into your flavorful macaroni and cheese. 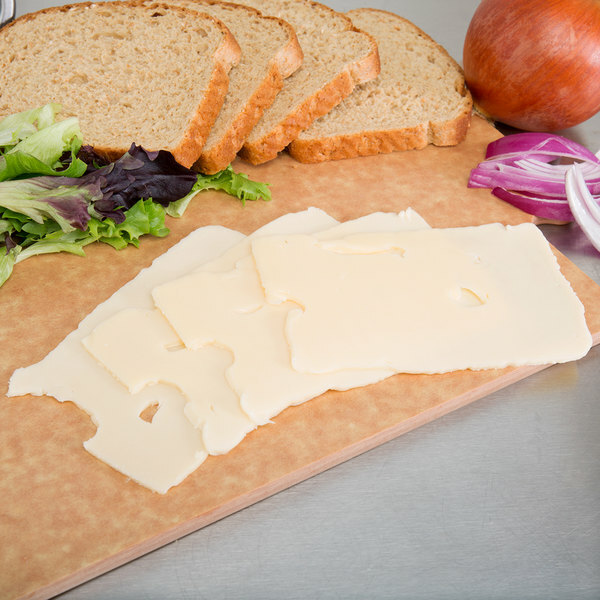 Flatbread pizzas get a fresh new take when topped with swiss cheese, while traditional cold cut sandwiches, subs, and wraps get the classic flavor your customers know and love when layered with slices of satisfying swiss. Whether it's used as a topping, garnish, or a standalone snack, this swiss cheese is sure to be a new favorite amongst your customers. A large square block of proper and firm swiss. Really gives the ole slicer a work out. Perfect with roast beef and fresh tomato on rye.